Don't miss out. There's only 4 available and 14 other people have this in their cart right now. Don't miss out. There's only 1 available, and 14 other people have this in their cart right now. 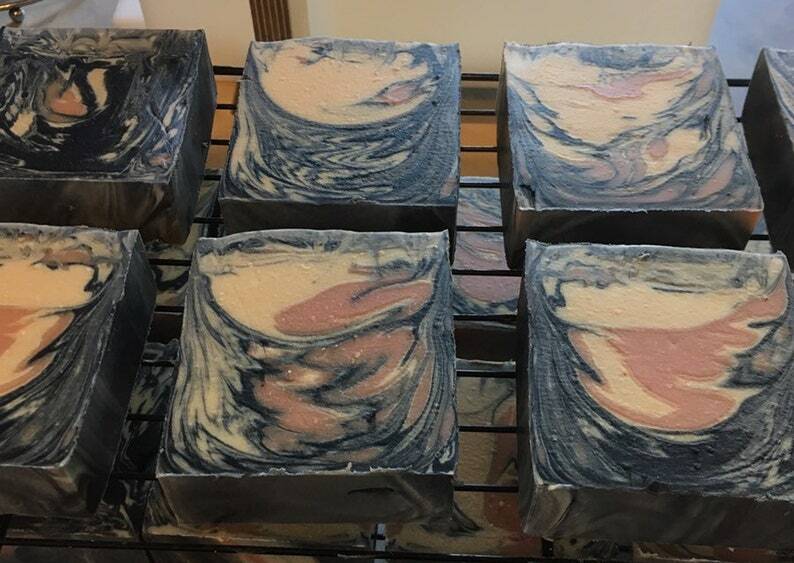 This handmade soap is made with rice bran oil, coconut oil, cocoa butter, mango butter, shea butter, castor oil, kaolin clay, heavy cream, buttermilk, goat milk, and tussah silk. This bar is about 3.5oz to 4 oz.